Advanced care planning elicits strong, sometimes fearful emotions in all of us. However, taking this proactive step helps provide clarity, especially during a medical crisis when emotion and stress are running high, to the family and medical team of the individual’s end-of-life wishes. Suggestions to initiate discussions with family members include locating an appropriate quiet, private setting, including a professional advisor and remembering that you are there to listen with respect and care. Have the Conversation Early – Don’t wait till a crisis occurs before thinking about end-of-life plans. These conversations are best started early, before the stress and confusion of a medical event occur. Involve Your Doctor and Local Hospice – Hospice programs are professionals at having end-of-life discussions, and most likely there will be a hospice representative located in your local hospital. Get it in Writing – There are many tools that can be used for Advanced Care Planning. Each does something a little different, so consider filling out a combination to ensure your wishes are completely understood. FHPCA urges everyone, regardless of age, to take an opportunity to discuss their end-of-life wishes with family members and put those wishes in writing with an advance directive. 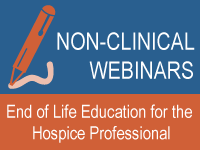 Local hospice programs can provide valuable information to help educate organizations, families, and individuals about advance care planning. Contact your local hospice program to discuss your needs further or call our Consumer Hotline at (800) 282-6560. Durable Power of Attorney – designates a person to make healthcare related decisions when the individual can not. DNR (Do Not Resuscitate) Order – provides instruction for the health care professional to not preform cardiopulmonary resuscitation if a person’s heart stops or if he or she stops breathing. This form is signed by a physician and stays with the patient’s medical chart. Other Advance Directives – These Advance Directives are legal documents that assign a health care delegate, specify what medical treatments are desired or not desired, and include any other final wishes they would like their family and loved ones to know. See the below listing of these types of Advance Directive documents. Aging with Dignity’s Five Wishes document helps you express how you want to be treated if you are seriously ill and unable to speak for yourself. It is unique among all other living will and health agent forms because it looks to all of a person’s needs: medical, personal, emotional and spiritual. 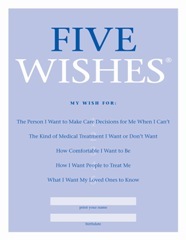 Five Wishes also encourages discussing your wishes with your family and physician. 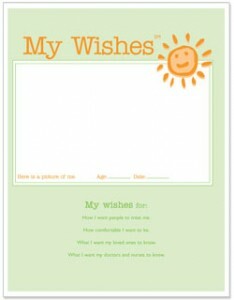 My Wishes is a simple booklet that helps a child express how they want to be cared for in case they become seriously ill. My Wishes is not a legal document; it is best used as a tool for discussion. It is intended to be used by children under the age of 18. If a child is unable to complete the document, families are encouraged to use the form to convey their wishes for their child. Versiones en español de los Cinco Deseos están disponibles AQUÍ . Empath Choices for Care, formerly known as Project GRACE helps families create, communicate, and honor future medical care wishes. 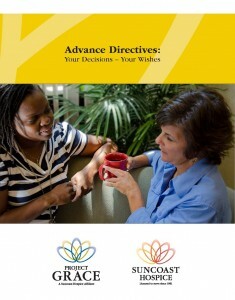 Advance Directive: Your Decisions – Your Wishes, or visit the print a directive page. 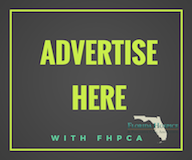 Honoring Choices® Florida is a comprehensive, community-based advance care planning (ACP) program. It provides individuals the opportunity to have conversations about their health care wishes with trained facilitators, who also can assist with the completion of an ACP document. 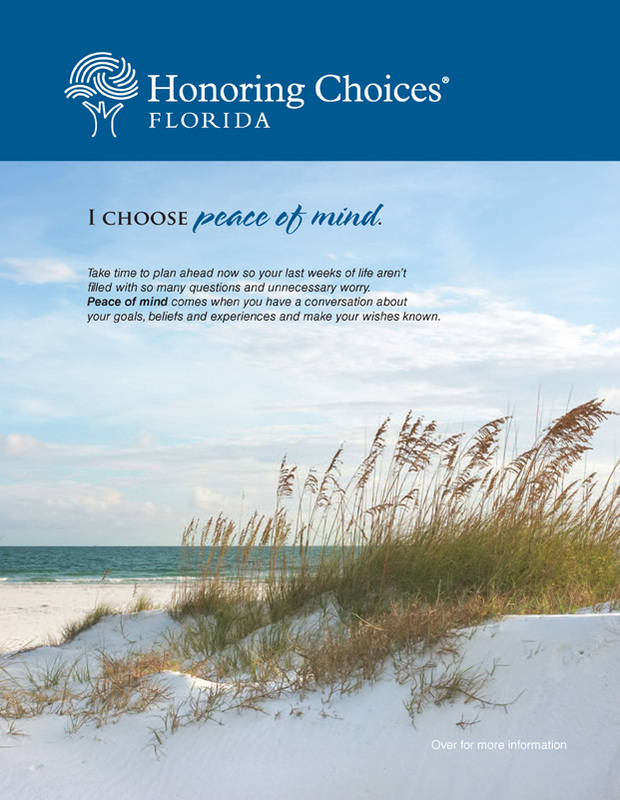 Honoring Choices Florida is based on the pioneering, evidence-based Respecting Choices® program.